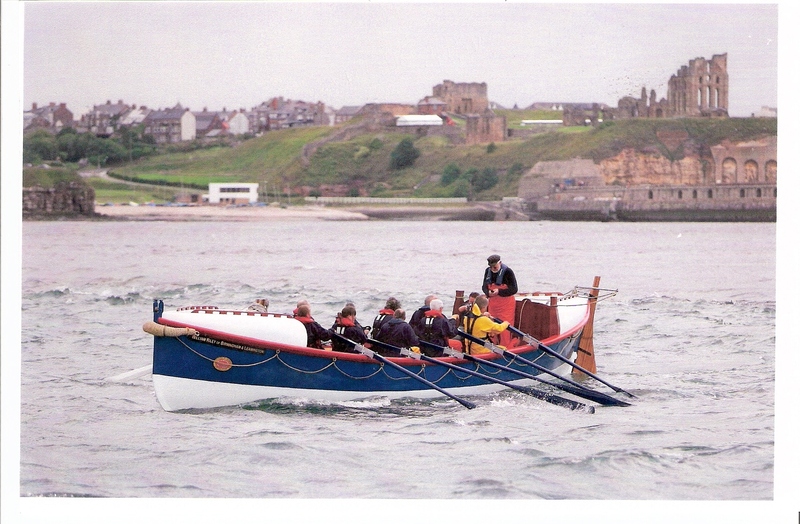 The first, and possibly most challenging of the William Riley’s sponsored rows, was a carefully planned four day trip from Tynemouth lifeboat station to Whitby, a distance of some 54 miles down the unpredictable North Sea. 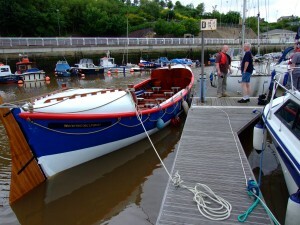 The idea for this trip came from Pete Thomson, Graham Chaddock, Paul Headlam, and Tim Hicking, and involved other members of the Whitby Historic Lifeboat Trust. Pete and Graham travelled to the various route stops earlier to do a “reccy”. Graham has a previous record of spectacular fundraising with his group the “Ales Angels” from North Yorkshire. 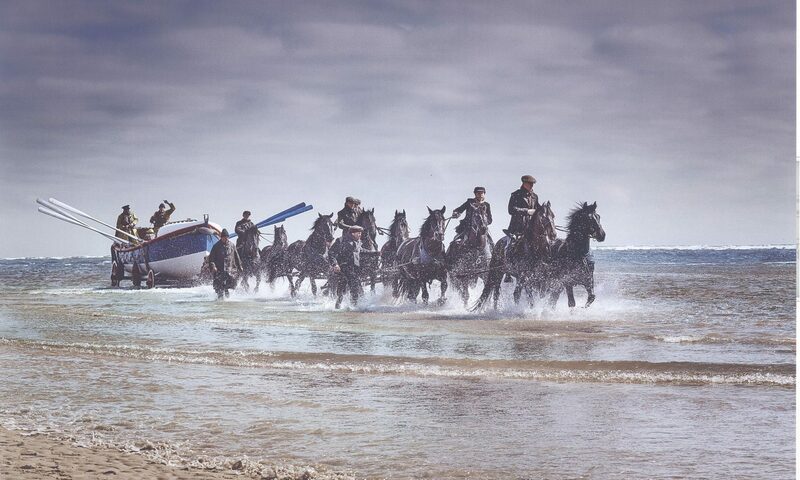 One such event was the cycling by Pedalo the full length of Loch Ness some years before. Four Lifeboat crew members from each of the stations visited on the trip were invited to join the regular team. 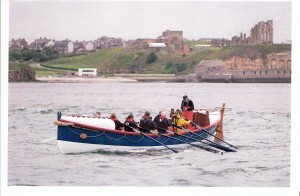 The first leg being from Tynemouth Lifeboat station down to Sunderland. With Pete as Cox, and Graham and Paul as strokes, and after an uneventful 4hr row, the crew arrived safely in Sunderland for a pint and overnight stay. Next morning, with a new RNLI crew from Sunderland, the crew set off down the North sea. 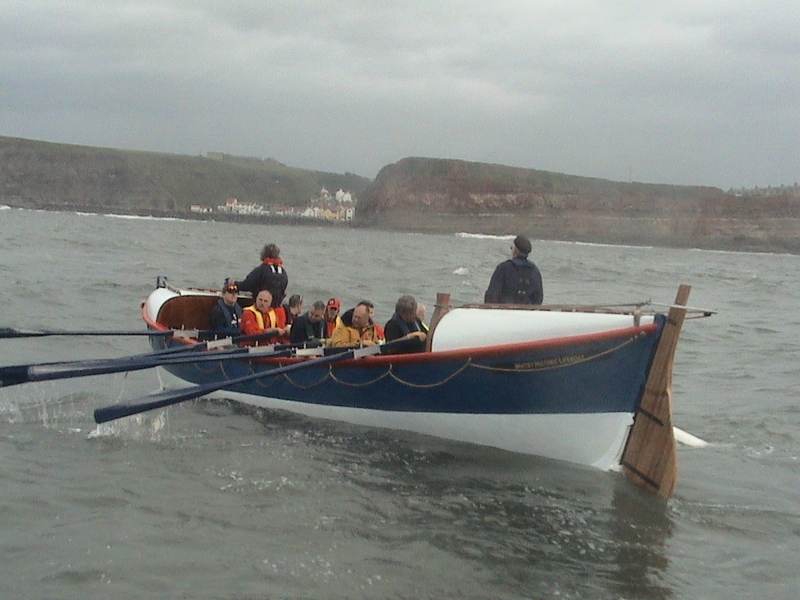 Next leg was from Sunderland to Harlepool. This leg proved to be tricky as fairly strong unforecast winds blew up an almost two metre swell. On arriving at the tees, we were met and welcomed by the Hartlepool lifeboat and another good night was spent with the crew. The following morning with four crew from Hartlepool lifeboat, we set off for Staithes with still quite a heavy swell running from the north. This proved to make Staithes harbour a little tricky, but we entered with no problems. Yet another night in the pub before the last leg on Sunday. We left a little earlier than planned because of the increasing swell on the tide. We were met off Whitby by a flotilla of boats as it was Whitby’s flag day, and also the blessing of the fleet. Entering the pier ends after the epic journey was quite emotional as thousands of people lined the piers to welcome us in. Finally as we passed the lifeboat station we were welcomed by the ringing of the “Rohilla” ship’s bell, a very poignant moment. The row itself raised £7,000, and the whole trip was a huge success.